What do you get when you mix ​water guns, baby powder, foam parties and awesome music in the busiest street in Phuket, Patong Beach? Songkran Festival! My family and I immersed ourselves in the festivities of the annual national Thai water festival in April, celebrated to usher in the official Thai new year. As usual, holidays are about fun, sun, tourist activities and of course, food and drinks – not at all friendly to any “healthy eating plan”. After a month of indulging in all kinds of food, I found myself unfit and struggling to come to terms with my “new” body. Due to all my wining, Sarah (@maaceey aka my fitness inspiration/ advisor) encouraged me to start a consistent, life long fitness challenge and that is how the #thinkfitchallenge was born! It is not a crash diet or quick fix workout plan, but rather a long term plan that aims to change the perception that staying fit and healthy is either expensive and out of reach, radical instead of progressive or that it is difficult to be incorporated into everyday life or globe trotting adventures. Basically, once a week for the past month, I have been running/ walking/ crawling up and down all 318 steps three times per session with toning exercises in between each set! In my first week it took me an average time of 4 minutes 55 seconds to get to the top and after 4 weeks I’ve improved my time to 3 minutes 23 seconds! Since the #thinkfitchallenge is all about being consistent at working out, I alternate between bike riding, stadium runs, stretching and lots of toning workouts on the other days to work on my overall fitness and strength and to keep the workouts more interesting since I get easily bored of doing the same routine repeatedly. 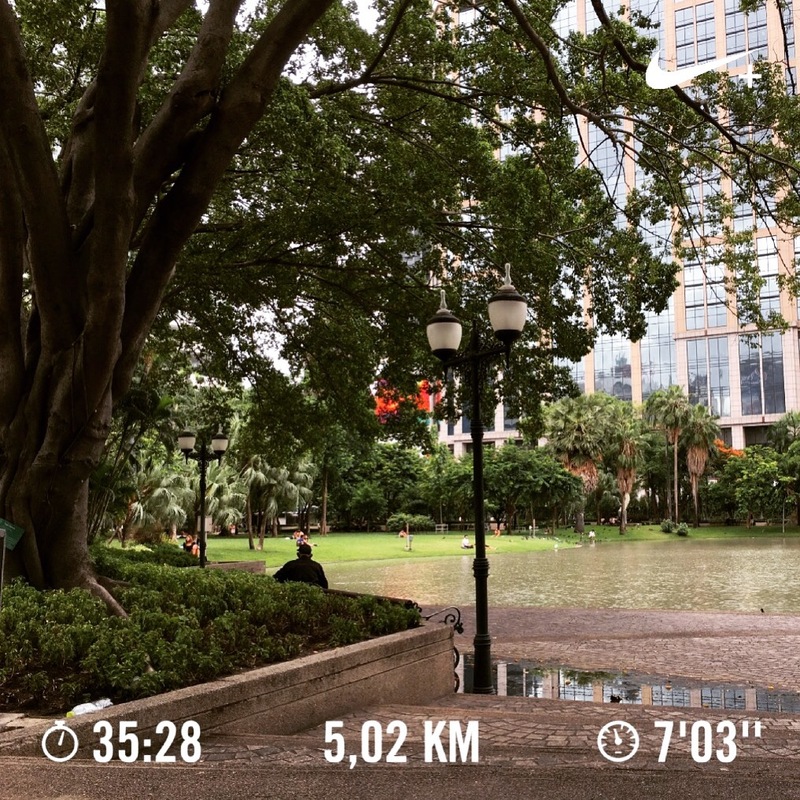 My non-stop 5km run this past week in Bangkok (a first for this year) was a clear indication that I am making progress! I usually do walk run combinations and for some strange reason, I decided to keep going to see how far I could go. It may not seem like much, but I’ve never been a keen runner, especially outdoors so I’m very proud of myself! A huge thank you to @maaceey, @gatsbyihui, @mpho.as, @hunerbaby and @boitumooki for joining the #thinkfitchallenge and being champions at mastering their own fitness goals! I am keen on getting back to Muay Thai and will definitely share some progress videos and pictures soon!